The ONE Makeup Product Bollywood Actresses Are Obsessed With! There's one makeup product that's got all your favourite B-town divas gripped. It's sparkly, shiny, sometimes glittery. It'll make you shine bright like a diamond! If you're familiar with makeup, you'd know the importance of a dependable highlighter. Like everything else in your kit, highlighter has a specific role to play. It's that little pot of gold that's responsible for your 'Instagram glow'. A little bit of highlighter dusted across your cheekbones and browbones, creates the illusion of light, youth and transforms a dull tired face. It brings forward your best features and perfectly masks tired skin. 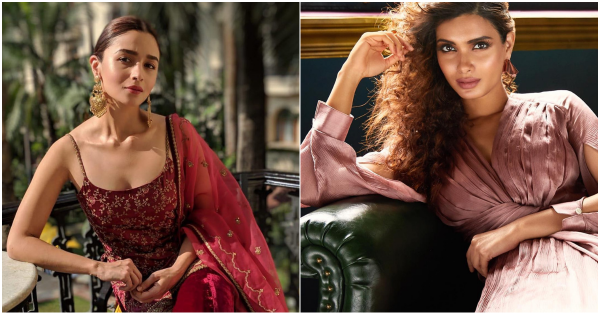 Alia, Janhvi, Katrina, Kareena and Diana swear by it! What's the best part about highlighter? The reason you should own at least one highlighter in your makeup kit is that it's actually pretty versatile. You can use it as eyeshadow and even as a lip topper. It's going to transform your naked eyelids into a sparkly, beautiful mess and it even turns regular lipstick into a metallic finish one. If you're feeling particularly experimental, you can even mix it in with a little bit of primer and use it as eyeliner! The right highlight will glisten and glow under all the right light. The key to highlighting is to apply the highlighter on all the spots the sun would naturally hit your skin. These would be your browbone, the bridge of your nose, your cheekbones and your chin. 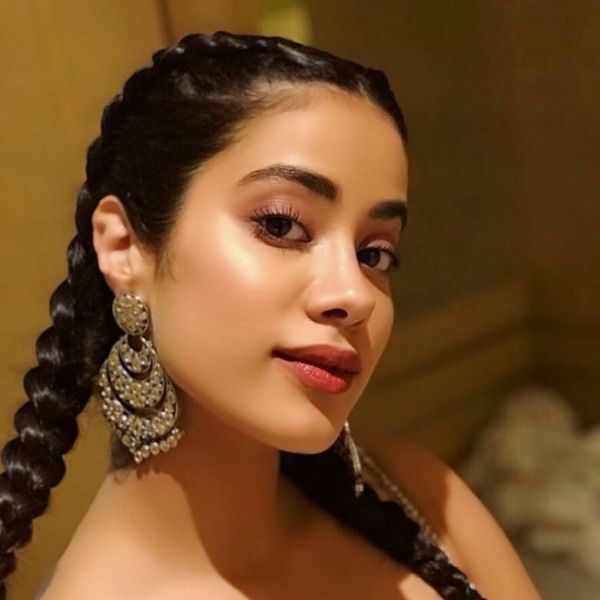 While our Bollywood babes have a tendency to use a little too much of highlighter, it looks stunning in photos. In real life, however, the key to a luminous glow is getting your highlight just right! And we're going to tell you exactly how to do that. A fluffy brush is the best tool to apply your highlighter with if you're aiming for a natural glow. It is going to make sure that your highlighter blends into your skin and looks, almost undetectable. The Wet n Wild Pro Brush Line - Tapered Highlighting Brush (Rs 599) is perfect. Dull gold and champagne toned highlighters complement the Indian skin tone best. Got a little carried away with the highlighter? Ended up looking a little too chunky and shimmery? Don't worry it happens to all of us. Don't panic. Just spritz your face with some setting spray and the highlighter will melt into your skin! If you don't have setting spray, rose water works just as well. Alternatively, swirl a powder brush in some loose powder or compact and buff it onto the area you just highlighted. The key to luminous, glowing skin is to mix in a teensy bit of liquid highlighter with your moisturiser. Repeat the same with your foundation and you'll be the glossiest dumpling in town! Now that you're all LIT, here are 3 of the best highlighters every makeup junkie swears by! 1. theBalm Mary-Lou Manizer (Rs 1,899) This is the most natural looking highlighter you can get your hands on. You can keep it as close to real as it gets if you use this sparingly. Wanna make a bold statement? Layer it on! 2. Maybelline New York Face Studio Master Chrome Metallic Highlighter - Molten Gold (Rs 550) is a gorgeous highlighter that will have you glowing to the moon and back! If you like a bold poppin' highlight in one stroke - you'll fall in love with this. It does, however, have some shimmer that might accentuate pores. 3. Becca Shimmering Skin Perfector Opal (Rs 1,760) is a liquid highlighter that you can use on your face and body. Mix it in with your moisturiser, foundation or use it alone it's going to leave your skin looking beautifully glazed. Looking for some more powder highlighters? Check out this post.